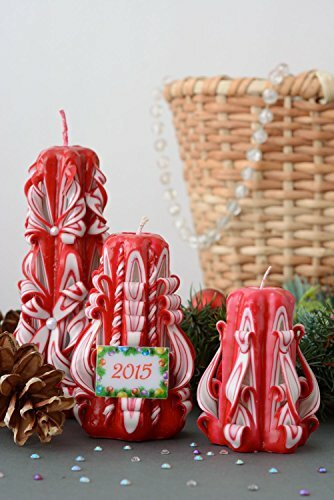 DETAILS - This set of New Year's candles is made of paraffin, stearin and dyes. All products are varnished. The set consists of small, average and big candles in red color palette. The products will become an excellent gift for New Year or Christmas. Paraffin candles are also appropriate for decoration of your own house.